-- and mess -- one can get a fantastic result beloved by both children and adults. I can't think of a single baked good that is so easy to prepare -- and so universally embraced. Maybe that's why there are thousands of brownie recipes in the world. And at least a hundred of them are called the "best" brownie recipe. These could also be called the "best" -- they're chewy and packed with old-fashioned chocolate flavor, reminiscent of the brownies served to children as an after-school snack in the mid-20th century. 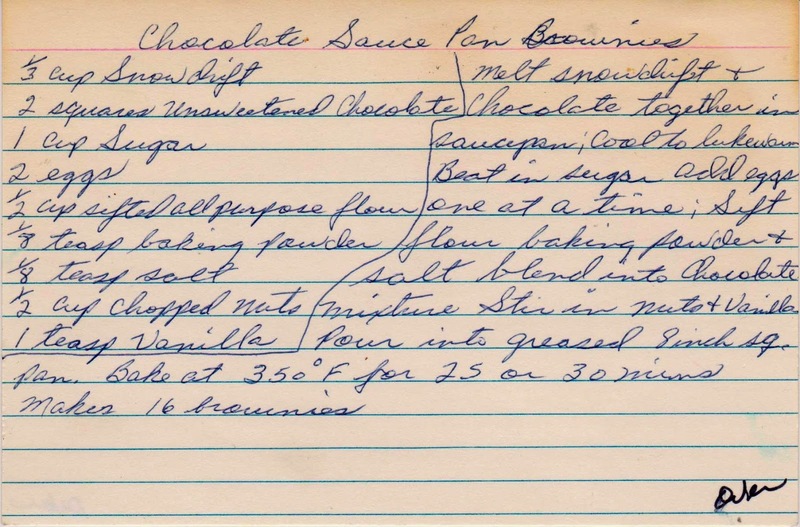 But I especially like that the recipe is named for the vessel used to prepare them -- the saucepan. 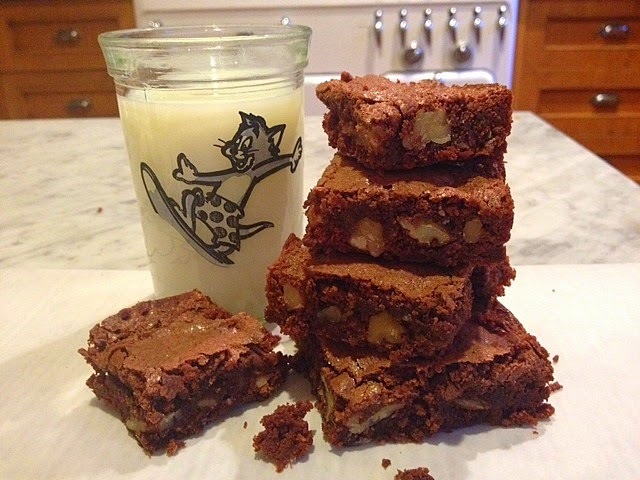 Chocolate is the shining star in brownies, so it's worth the splurge for the high-end stuff. 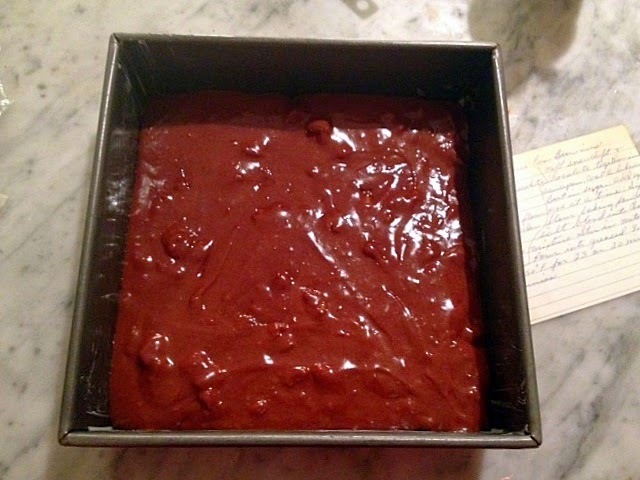 I used Scharffen Berger unsweetened chocolate. 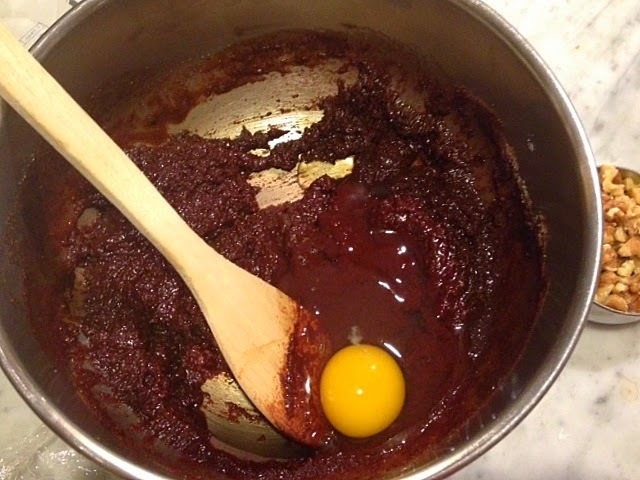 After the butter and chocolate are melted in a saucepan, add the eggs and then the dry ingredients. Pour into a pan, which you've greased and floured. Production notes: I used unsalted butter, not Snowdrift which was (is) a variation of Crisco. 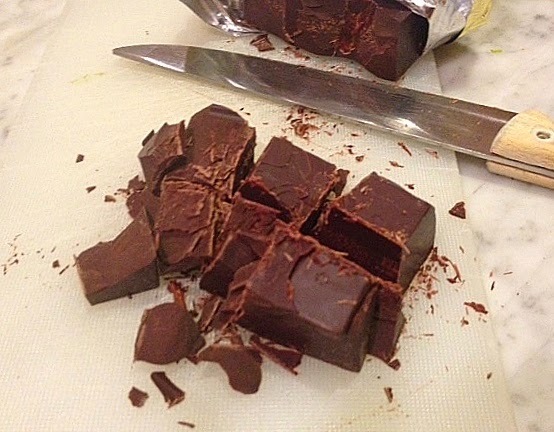 Two squares of chocolate equal two ounces. The only tool I used was a wooden spoon for mixing. Brownies are my favorite thing to bake. No dividing batter equally, filling and frosting, or turning out onto a wire rack. These are just a few reasons why I love brownies so much. 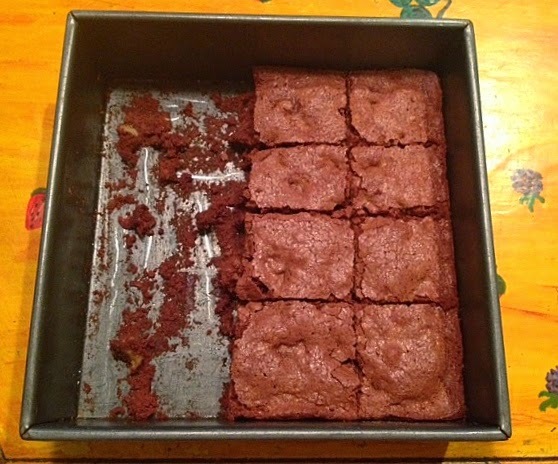 Thank you for posting another brownie recipe. Agreed! So easy, so fool-proof and so delicious. However, I do like a baking challenge, which brownies don't provide. So while you rarely experience the thrill of victory, you also avoid the agony of defeat. Thanks for writing!